There are many ways to get a Bitcoin wallet. 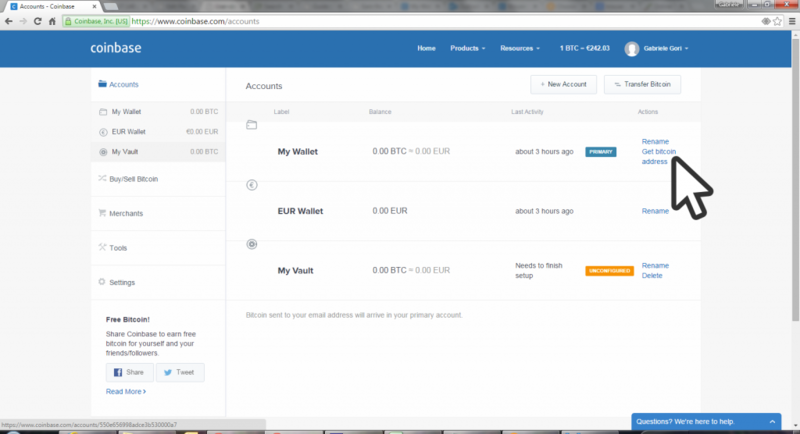 For a list of all possible wallets available click here. 1. 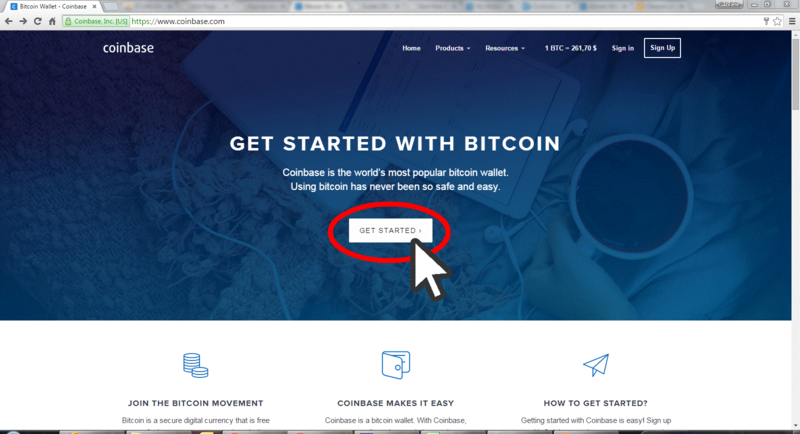 Click here to open the Coinbase website. 2. Click the “Get Started Button”. 3. 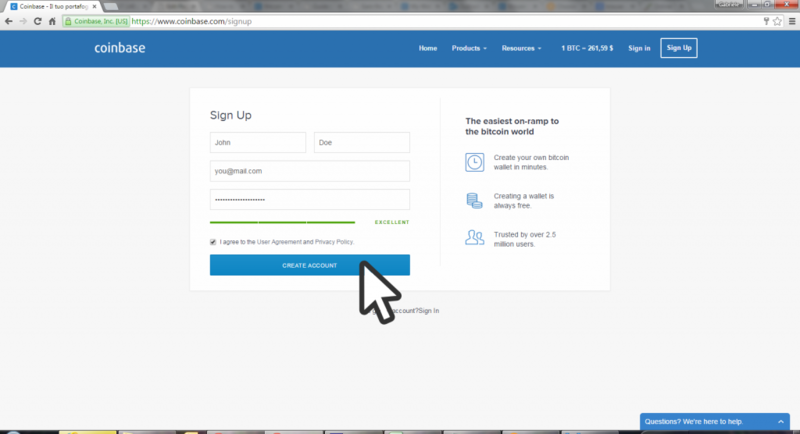 Fill in the form on the sign-up page, then click “CREATE ACCOUNT”. 4. When the sign-up form has been succesfully submitted, you will receive a confirmation email at the address provided in the signup form. 5. Check your email’s inbox and click on the verification link in the message from Coinbase to verify and open your new Bitcoin wallet. 6. 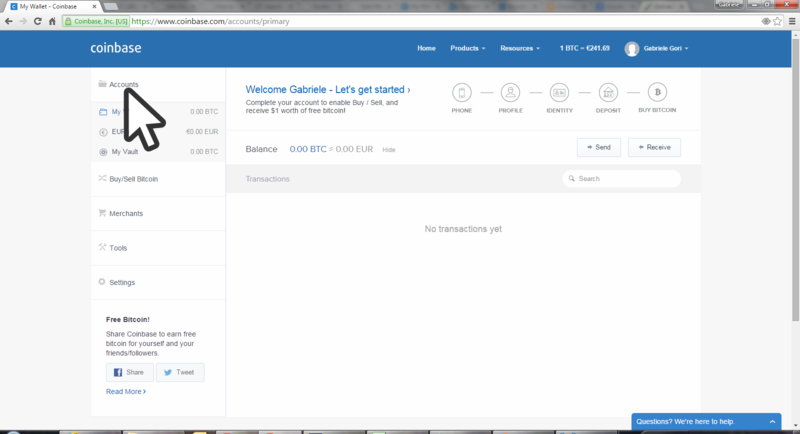 Once logged in your Coinbase wallet click on “Account”. 7. 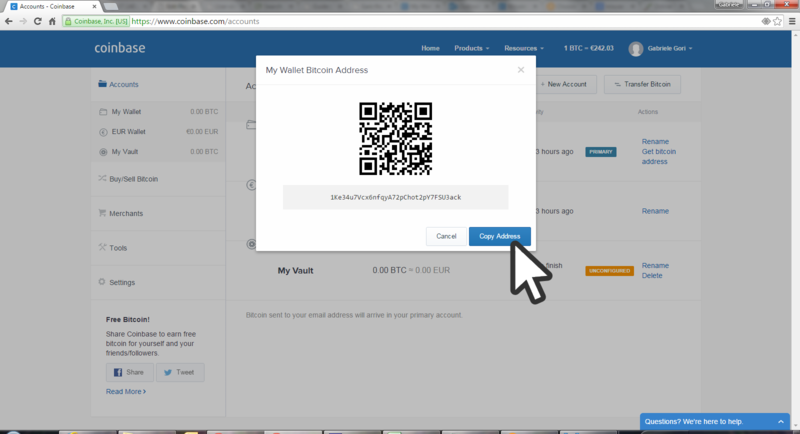 Now, click on “Get bitcoin address” address in the “My Wallet” section. 8. Your bitcoin address will show up. Click “Copy Address” to copy and save it (for example in a .txt file created using notepad). 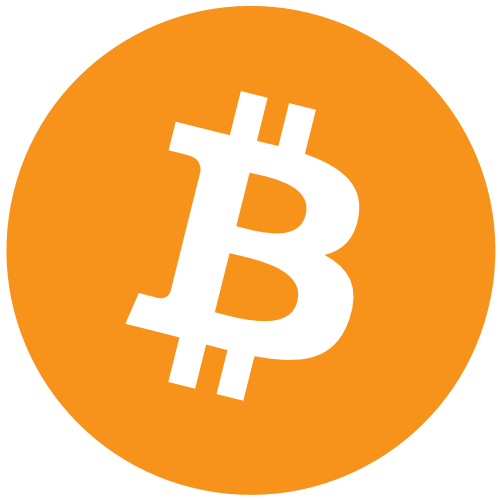 Now you are ready to receive free bitcoins from bitcoins43.